U.S. automotive and energy company Tesla, Inc.’s executives have met with Greek Minister of the Environment and Energy Giorgos Stathakis to discuss possible cooperation on modernizing Greek islands’ power grids as part of a strategy to reduce the use of fossil fuels in favor of renewables. The cooperation would involve microgrids connected to energy storage systems, according to reports. In a statement, the Greek Ministry of the Environment and Energy said that the talks covered Greek islands’ dependence on fossil fuels, especially of those not connected to the continental electricity grid, and a strategy to switch to renewable energy sources. The ministry noted that technological development has significantly reduced the cost of energy storage, recalling that competitive procedures for new investments in renewable energy sources in Greece have led to lower energy production costs. As a result, islands’ switch to renewables is now not only environmentally friendly, but also economically advantageous, the ministry said, according to capital.gr. Tesla has reportedly already suggested a pilot project to demonstrate its microgrid system in the region. The government would like it to be on the island of Limnos, electrek reported. 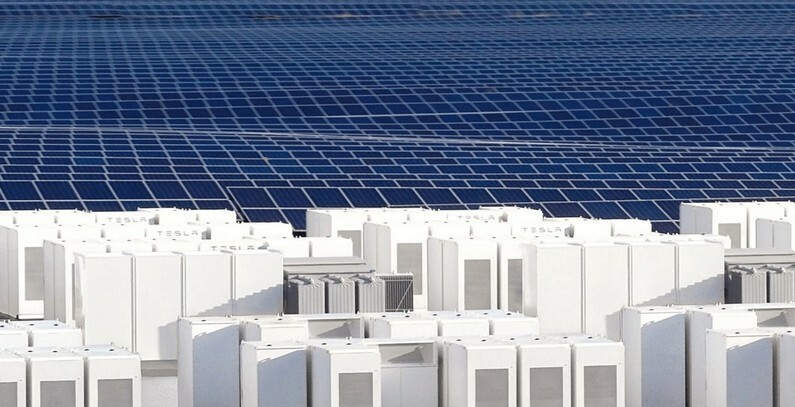 Over the years, Tesla has acquired some experience in building microgrids to power remote islands using solar panels and its energy storage systems, like the Powerpack, the portal wrote. On the island of Ta’u in American Samoa, where about 600 residents had long relied on diesel generators for power, Tesla deployed a 1.4 MW solar array and a 6 MWh energy storage system with 60 Tesla Powerpacks in 2016. The company has since deployed many similar systems in Samoa, Hawaii, Puerto Rico, and other places.